While I was healing from shoulder surgery, it seemed as if the rest of the country was ripping open its wounds and pouring caustic liquid into them to inflict as much pain as possible. I don’t understand it, it breaks my heart, and I don’t see any way to bring us back to a place of reason and grace. Honestly, I didn’t even want to address this issue, because it brings out the ugliness in a lot of people that I care about, and I had no desire to see it. That said, I’m letting my guard down a bit, and I’m going to be as personal and honest as I can be about race in America, at least how I see it. 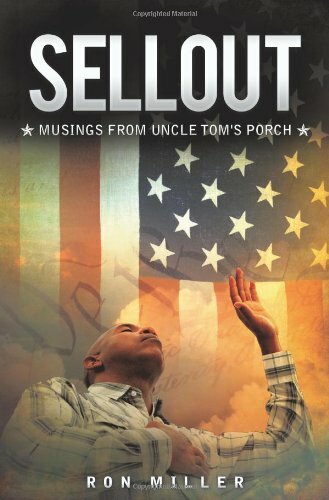 I’ve addressed some of this in my book, SELLOUT: Musings from Uncle Tom’s Porch, which first came out in 2010, yet it really bothers me that the hope reflected in the last chapter seems further away today than it was three years ago. Let me start with this: everyone profiles, and those who say they don’t aren’t being honest. Call it profiling, stereotyping, discriminating, judging, whatever – we all do it. I give a raised eyebrow to young black men with their pants hanging at mid-rear, and to young whites with excessive tattoos, and other “types” as well. I also consider the context in which I witness people, and that plays into my judgment as well. Ultimately, I don’t act on my thoughts, and I recognize them for what they are – a shortcut that allows me to neatly categorize my world without further thought. Philosopher and commentator Walter Lippman, in his work Public Opinion, was the first writer to address the topic of stereotypes and their impact on human interaction. He described how we categorize people before knowing them, stating that "For the most part we do not first see, and then define, we define first and then see." But modern life is hurried and multifarious, above all physical distance separates men who are often in vital contact with each other, such as employer and employee, official and voter. There is neither time nor opportunity for intimate acquaintance. Instead we notice a trait which marks a well known type, and fill in the rest of the picture by means of the stereotypes we carry about in our heads. [O]ur love of the absolute shows itself. For we do not like qualifying adverbs. They clutter up sentences, and interfere with irresistible feeling. We prefer most to more, least to less, we dislike the words rather, perhaps, if, or, but, toward, not quite, almost, temporarily, partly. Yet nearly every opinion about public affairs needs to be deflated by some word of this sort...Real space, real time, real numbers, real connections, real weights are lost. The perspective and the background and the dimensions of action are clipped and frozen in the stereotype. Lippmann wrote these words in 1922, but they are no less true today. Stereotypes are, in some respects, a defense mechanism for our brains in that they relieve us of the considerable burden of learning enough about people as individuals to know how to engage them. There’s just too many people, too much to do, and too little time, and we fall back on typecasting so there’s one less hard thing for us to do in our already hard lives. In college, I met a striking young black man who was so handsome, articulate, erudite and elegantly dressed that I thought he must come from a well-to-do family and “good breeding.” It turned out that he was a master con artist who befriended me and then stole from me, and in my futile attempts to track him down, I learned he had done the same to many others. I’ve rarely felt so stupid and humiliated. Conversely, when I was unemployed and unsure of where my next dollar was coming from, it was my white friends who, due to their appearance and politics, are vilified by the outside world as “teabaggers,” “rednecks,” “crackers,” and worse, yet they came to the aid of my family, loaning us money even when they didn’t have that much to spare, sprucing up our yard and cleaning our home so we could have a break, bringing us meals, praying for and over us, and showing us an overwhelming love and care which I will never forget. So. yes, I profile, but I’m aware that I do it, and I govern myself to respond appropriately, and to change my assessment when presented with information to the contrary. “Matthew 10:16 says, “"I am sending you out like sheep among wolves. Therefore be as shrewd as snakes and as innocent as doves.” It’s prudent to judge, but humble to be open to change. "There are probably very few African-American men who haven't had the experience of walking across the street and hearing the locks click on the doors of cars. That happens to me -- at least before I was a senator. There are very few African-Americans who haven't had the experience of getting on an elevator and a woman clutching her purse nervously and holding her breath until she had a chance to get off. That happens often. In one instance, I encountered an elderly man with a walking stick approaching me as I ran on the sidewalk. As we drew closer, he began swinging his walking stick back and forth, and kept doing it as I ran past him. Once I passed him, I looked behind me and he had stopped swinging his stick. Apparently, he thought I was a threat and was making those menacing moves as some kind of warning to me. Over time, he realized I was no threat to him, so he ceased swinging the only weapon he had in hand. I remember how helpless I felt. Here I was, an officer in the United States Air Force with a master’s degree, married with a child, a homeowner – and to them, I was just a menacing, muscular black man – well, I was muscular at the time! I’ve written in the past how being raised in a military family essentially spared me from the indignities of racism and discrimination in America, and how the civil rights movement was more of an historical event than an experience for me. Yet, even with that, in certain circumstances, I was painfully aware of my blackness, and how it made me feel threatened. In 1972, we were driving from Lake Charles, Louisiana to Charleston, South Carolina to catch an overseas military transport to my father’s next duty assignment outside of Madrid, Spain. At one point during the trip, we stopped at a convenience store in the middle of Alabama, and my siblings got out of the car to stretch their legs and run around the store. It was an older looking store, like one you’d see in a 1950s movie, and I remember watching the old white man behind the counter, and it seemed like he was glaring at my brothers and sister as they gleefully ran up and down the store aisles. For all I know, he could have been annoyed at the racket they were making and nothing more than that, but I felt uneasy nonetheless. I was 13 at the time, and my parents already thought I was too serious for my age, so I didn’t say anything to them about what I felt. Later in that same trip, our car broke down outside of Birmingham, if I recall correctly, and it was dark and there was no one in sight. I remember staring into the woods and thinking that, at any minute, a group of Klansmen were going to emerge and capture us. It was a silly thought, but it was there nonetheless. I had no personal experience on which to base such a fear, but it was as real as any I’ve felt. No one was more relieved than I when we managed to get the car to Birmingham, where we spent the night before continuing on our journey. In 2002, we were on a road trip back to southern Maryland after visiting my parents in Lake Charles. We made a stop at Loretta Lynn’s Country Kitchen in Hurricane Mills, Tennessee. The waitress couldn’t have been more friendly, and when she learned I worked for FEMA, she gave me my meal for free. As I gazed around the restaurant, however, I couldn’t help but notice the stares of some of the patrons. They didn’t know I was a political appointee with the Bush Administration, a senior executive in the federal government, or that my politics could very well be in harmony with theirs. I imagined what these people were thinking of this black man with his white wife, and his “Halfrican” children - my daughter’s favorite self-deprecating term, by the way – with the girls’ newly braided and very “ethnic” looking hair. My oldest daughter, Amanda, picked up on the stares, too. My wife, who is French and has no first-hand experience or perspective on the race issue in America, said we were imagining things, but I was uncomfortable enough that I hurried my meal and ushered us out of there and back on the road. I understand their sentiment, and I always tell them that, in my daily life, I don’t approach people or circumstances with race at the forefront of my consciousness. I extend to others the grace of acknowledging their kinship with me as an image-bearer of God and, for all practical purposes, I receive grace in return. I’ve also said that, until I became a minor public figure, race was not a topic I regularly addressed. It would be incredibly naïve or arrogant, however, for me to believe that if I conduct my personal life as if race didn’t matter, then it shouldn’t matter to someone else. Racism is a source of great pain and conflict for a lot of people, and I would be disrespecting the slights and slurs that some encounter on a regular basis to simply wish them away. Just because I don’t encounter them doesn’t mean they are imaginary or concocted. Racism is a sin – why would it disappear when sin has been with us since time began, and will be with us until Christ returns to reclaim the world? Have things gotten better? Absolutely? Can they get better still? Yes, they can. To my friends who wish racism would “just go away,” let me assure you that it's OK to acknowledge the existence of racism while still accepting that we're much further along today than in the past, and we can go further still if we have the goodwill and humility to do so. Yet you say, “Why should not the son suffer for the iniquity of the father?” When the son has done what is just and right, and has been careful to observe all my statutes, he shall surely live. The soul who sins shall die. The son shall not suffer for the iniquity of the father, nor the father suffer for the iniquity of the son. The righteousness of the righteous shall be upon himself, and the wickedness of the wicked shall be upon himself (Ezekiel 18:19-20). I know there are verses in the Bible which suggest the sins of the father carry over into succeeding generations, but they are describing the same concept as the original sin of Adam and the consequences for mankind going forward. Certainly, we can look at the racial fractures in today’s America, and conclude that we are still dealing with the consequences of past sin dating from 1526, when the first African slaves landed on the shores of South Carolina, until 1964, when the Civil Rights Act of 1964 became law. Think about it – it’s been only 49 years since institutionalized discrimination was outlawed in America. Some counselors suggest that a person’s belief system is fully formed by about age six, so if you were six years old in 1964, you’d be 55 today. There are approximately 60 million people in America today who are 55 or older. Is it that hard to believe that these people may still carry the prejudices and resentments of days past? For those who were raised to believe in the inferiority of black people, do we think they’ve repudiated those beliefs completely, like shedding a garment? And for those who haven’t seen their lives change because of the end of legal discrimination, how easy would it be for them to accept the words of their elders, who haven’t gotten over the wounds of the past? We need to give each other some space to breathe, and we need to find people of goodwill who can come together and work on this problem diligently and ceaselessly. The passage of time will help – I see a lot of hope in my children, who reject racism regardless of its origin, live and love across racial lines, and who bring to this issue the unique perspective of the increasing numbers of multiracial Americans. Regarding the president’s remarks today, in my humble opinion, much of the reaction was colored by distrust and dislike of the man, and I get that. Some saw his speech as another attempt to divert attention from the scandals and policy stumbles which have plagued his second term. Some believe he’s simply stirring the pot and keeping the race issue alive for the 2014 elections. There are all kinds of reasons why people heard or read not his words, but their own suppositions as to why he uttered them. He’s like the failing head coach of a football team who’s lost the locker room. No matter what he says or does at this stage, it will in all likelihood fall on deaf ears. But what if Dr. Ben Carson had uttered the same words? I’ve heard him speak on the topic, and he could have very easily said many of the same things as the president, employing his usual calm bedside manner, and they would have been received much differently. I chose to read the president’s remarks as they were presented, with none of my prejudices or suspicions of motive to cloud my analysis. You know, there's been talk about, should we convene a conversation on race? I haven't seen that be particularly productive when, you know, politicians try to organize conversations. They end up being stilted and politicized, and folks are locked into the positions they already have. On the other hand, in families and churches and workplaces, there's a possibility that people are a little bit more honest and at least you ask yourself your own questions about, am I wringing as much bias out of myself as I can? Am I judging people as much as I can based on not the color of their skin, but the content of their character? That would, I think, be an appropriate exercise in the wake of this tragedy. He is absolutely right that this isn’t a problem that politics can solve. Despite my lifelong involvement in and passion for politics, I’ve reached some pretty sober conclusions about the viability of political solutions or, more accurately, the lack thereof. That’s a topic for another column, however. This has to be something that we, the people, want to solve, and in order to do that, we need to acknowledge each other’s positions – “walk in another man’s moccasins,” as it were – and be humble enough to be quiet and listen. “Seek first to understand, then to be understood” – the late Stephen Covey offered us much wisdom in his books, and this quote from The Seven Habits of Highly Effective People is one of my favorites. Life coach Steven Barnes spoke wise words when he said, "There's no such thing as a wound which takes less time to heal than it took to inflict.” Anyone who has ever sought counseling knows this, and it applies to nations as well as individuals. I have often described the history of blacks and whites in America as “tortured,” and we were unable to resolve our differences without a civil war and the violent upheavals of the 1960s, all of which have left terrible scars that we can’t stop picking at, exposing them time and again. We can’t expect to snap our fingers and have all of that go away. Yes, there are people who exploit our pain, but they, too, have always been there and always will be. Ignore them. We have been shown a better way. If you are willing to approach this issue with humility and grace, I am convinced that there are others, black and white, who are waiting for you to join them. In the eyes of God, each one of us is a person unlike any other, “fearfully and wonderfully made,” and He wants us to see each other as He sees us. “Red and yellow, black and white, they are precious in his sight.” We used to sing those words in Sunday school or vacation Bible school before cookies and Kool-Aid. Why did we toss them aside once we were “grown up”? Friends, I see this as an opportunity from God to show the excellence of His way over the ways of man, and I am ready to seize it. Are you ready to inspire rather than inflame? It starts with you and me – today.